Any time I move or travel some place, grocery stores are usually first on my list to find. I have a pretty high standard and it’s rare that a store has everything I need. I’m the type of person that usually goes to two or three different stores on a weekly basis (which is obviously not feasible for most!) This is why I’m excited to partner with Nugget Markets for this recipe. Not only can this store be my one-stop-shop but it also happens to be a local store in the Sacramento and Bay area. These curry chickpea burgers are part of their exploration of purple ingredients this summer. There are so many beautiful purple produce items and one of my favorite is cabbage. The deep purple color is the perfect burger topping, especially when tossed with coconut milk and paired with curry. These burgers are based on my favorite chickpea burger and come together fairly quickly. These are also easily vegan if you swap the egg for your favorite substitute. 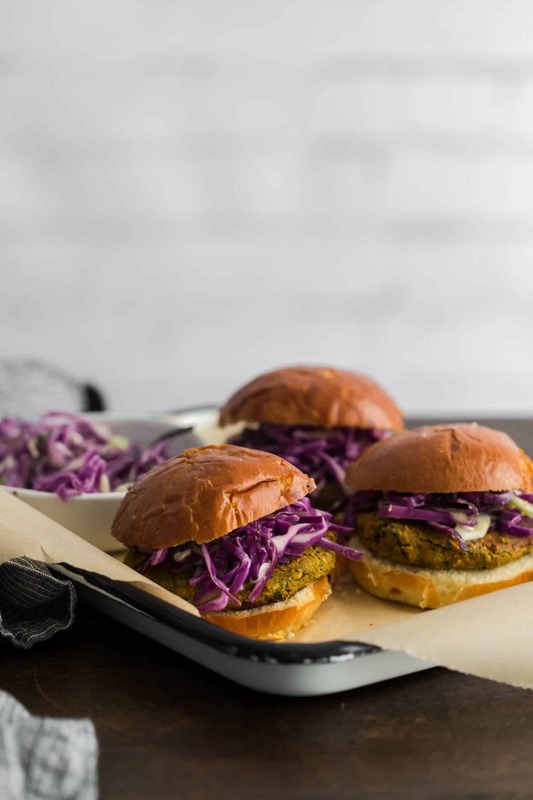 The post Curry Chickpea Burgers with Coconut Cabbage Slaw appeared first on Naturally Ella.